One day or other every band is asked to provide a STAGE PLOT / STAGE PLAN / INPUT LIST. 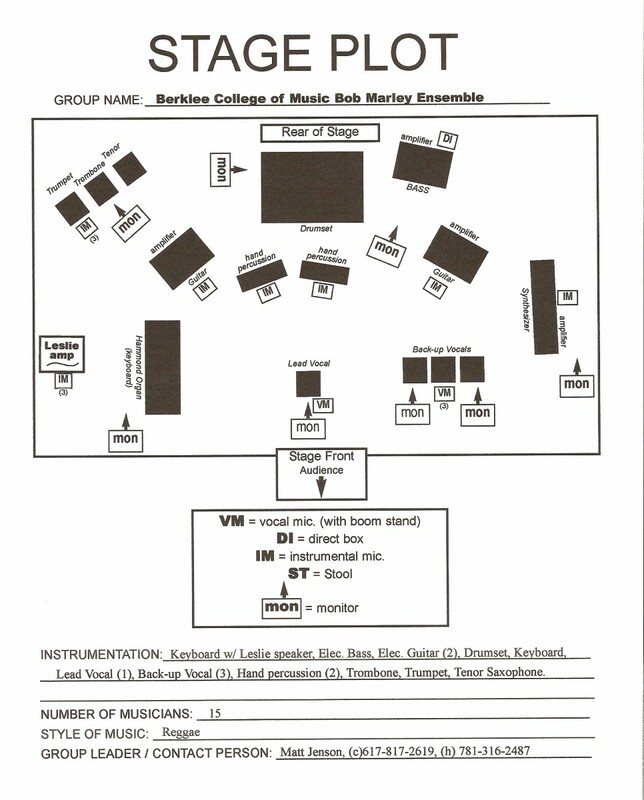 Stage plot is an illustration of the band’s set up, location on stage or appliances you use. 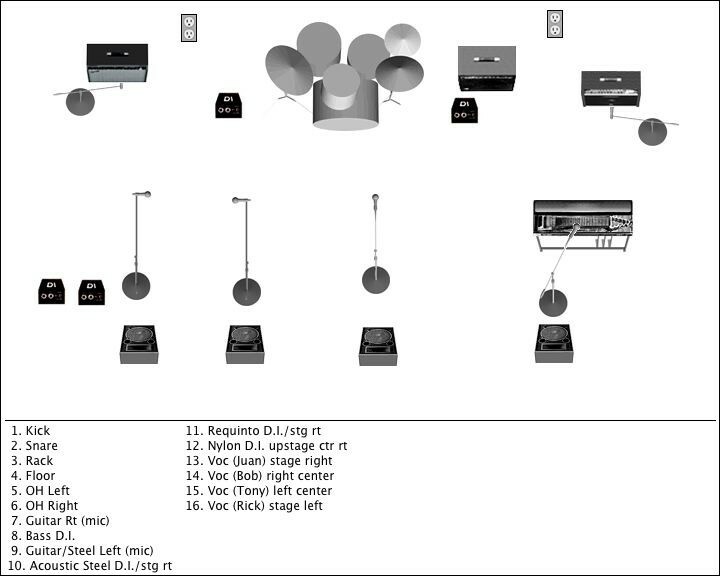 A stage plot is planned to help a sound engineer get an idea about your necessities. For instance, where on the stage all the instruments will be situated, how many microphones or what kinds of instruments will be used etc. - where the amplifiers will be located in relation to the players. 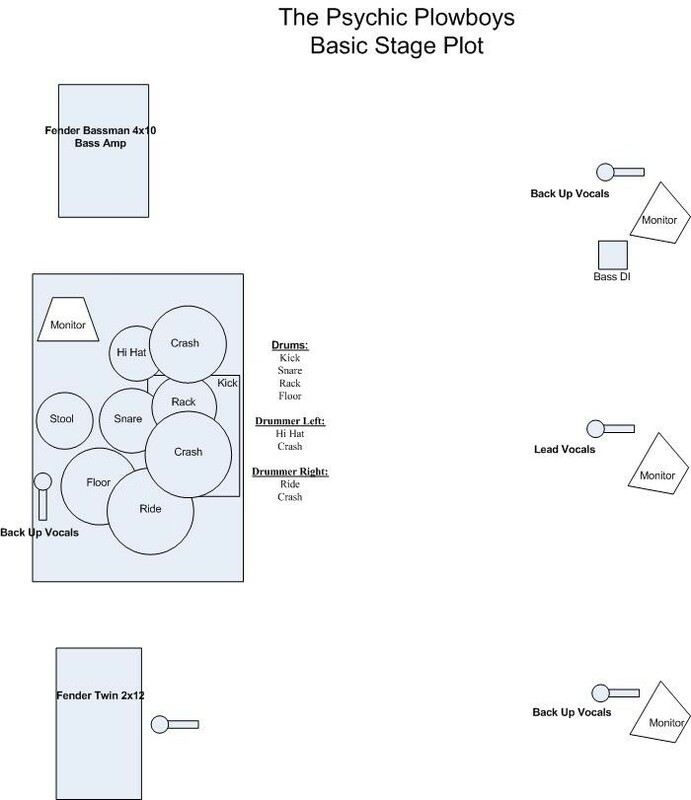 With the help of a stage plot, you will make your setup and sound check more effective and well-organized. You can use your grade-school skills to draw keyboard, guitar, bass, DJ station etc. But remember that your tech team knows what a guitar looks like and they don't need a picture of it, they just need to know where they should put the DI box for it. Simply write the number of people in your band and how many amplifiers, instruments, microphones you have got and how they are connected. That will be enough for most of your small gigs. So what should I do with my stage plot? Send it to the agent, promoter, or someone else at the time your performance is confirmed. In addition, ask how you can get in contact with the live-sound engineer and send him some information. The booker or agent can also send you additional information about the concert. Don’t forget to check it.